The Highland Culture Fund aims to promote the Highlands as a great place to live and visit by showcasing the unique and special nature of Highland culture past, present and future. In recognition of the significant contribution that the cultural sector makes to the continued economic and social prosperity of the area, The Highland Council has established a one-off grant fund of £100,000 to provide financial assistance to projects that support the on-going promotion of the Highlands and enhance the area’s programme of events, festivals and cultural activity. Grants of up to 50% of eligible costs and up to a maximum of £5,000 are available (although it is anticipated most awards will be significantly less than the maximum amount). The closing date for applications is 31st July 2013. 2.00 – 3.30pm S1-S2 All players who attend the camp will receive a free Caithness Rugby Club T-shirt. Drivers in the Highlands and Islands are being urged not to spoil the party this summer by getting behind the wheel after drinking alcohol or taking drugs. Tomorrow sees the beginning of a four week campaign focusing on drink and drug driving across Scotland. For the Highlands and Islands this is one of the busiest periods on the roads with additional tourist season traffic, events and festivals. Road Policing Inspector for the Highland and Islands Division of Police Scotland, Neil Lumsden, said:"During last summer's campaign in the Highlands and Islands, 20 people were detected during a two week campaign. Caithness Chamber of Commerce, in partnership with SSE, invites you to attend this free Meet the Buyer Event on Thursday 13th June at Mackays Hotel, Wick from 09.00 - 17.00. The day will cover a wide range of presentations from SSE Open4Business, SSE Renewables, SSE Transmission, Achilles and SSE’s Tier 1 contractors. It will also include 1-2-1 sessions with SSE and Achilles, which will run from 2pm. Please indicate below if you would like to book a session. Highland Council has welcomed a successful start to the 2013 cruise ship programme at Scrabster, following the visit on Friday 24th May 2013 of the Adonia, carrying nearly 700 passengers and over 350 crew. This was just the first of 10 cruise ships coming to Scrabster this year, bringing potentially over 3,500 visitors, who hopefully will return to Caithness after seeing what the area has to offer. The next cruise liner to visit Caithness will be the Amadea which will berth at Scrabster Harbour on Saturday 8th June. 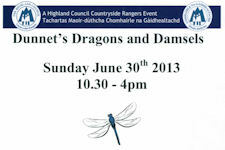 Caithness.org What's On section gets hundreds of look-ups every day so get your event listed as soon as you can. Just use the online form - simples - and its FREE for as long as you want for as many entries as you like. Members of the Highland Council’s Adult and Children Services Committee heard that young people’s participation is making a positive difference in the planning and provision of children’s services in The Highland Council, Police Scotland Highland and Islands Division, and NHS Highland. Ainya Taylor, Highland Youth Convener, and Highland Youth Voice members, Sannies Macleod from Wick, Bee Nicolson from Inverness and Finlay Allmond from Nairn gave a presentation on how Youth Participation is helping service providers to improve services and how it also helps them, as young people, develop. Fit's in 'e Groat 'is Week? A dash through the main stories in the John O'Groat Journal from Friday 24th May and if you missed it check out 'E Courier' headlines from Wednesday 22nd May. These and many more stories in Doanalsin's Diary now in its third year and al items still there to be read. Check out some nice walks for Saturday 25th and Sunday 26th in the Caithness and Sutherland Walking Festival. Rural community projects across the Highlands are celebrated in The Highland LEADER Programme’s ‘Revitalising Communities in the Highlands’ booklet launched at the full Highland Council on Europe Day earlier this month. Over 90 of the 358 local projects funded by the LEADER Programme are bought to life with quotes and photographs in the booklet. Featured projects range in location and type from the Isle of Skye Energy Advice Service, to Thurso Boating Pond Play Area, to the Black Isle Heritage Memories Project. The Johnston Collection is a unique photographic archive of life in and around Wick, once the capital of the herring industry in Europe. Held in trust by the Wick Society, the collection consists of over 50,000 black and white images, taken by three generations of a local photographic firm from 1863-1975. For thirty years the collection remained in the basement of the Wick Heritage Centre, inaccessible to all but the most determined researcher. Long-held ambitions to digitise the collection remained unfulfilled due to lack of resources. Following its complete renewal in 2009 Mey Village Hall is a hub of activity from sports clubs and evening classes to markets and weddings. With a ground source heat pump, the Mey Village Hall Trust was already ‘going green’. A natural next step was to install a 20Kw wind turbine. This would not only meet the rest of the hall’s energy costs but also earn income by feeding excess power into the National Grid. For many years the slipway at Brough served as the landing point for supplies to Dunnet Head lighthouse. Battered by winter storms, the slipway was increasingly at risk of collapsing. Investigating funding made the Brough Bay Association appreciate the potential for a wider heritage project. LEADER matched contributions from four partners and the Association’s own funds. The money came in the nick of time as a storm in 2010 revealed that five metres of pier stonework was hanging in mid-air. Commitment deserves commitment are the latest watchwords from SSAFA a charity set up to help serving memebrs or ex memebrs of the armed forces in the UK. Local Caithness organiser Sharon Johns from Murkle is looking for volunteers to help her provide support to local members or ex-members of the armed forces in Caithness. The history of SSAFA is the history of the men and women of Britain’s Forces and their families. Mary Ann's will open on Saturday 1 June and will be staying open thereafter for the season until the end of September. Open 2.00 - 4.30 pm every day. Volunteer guides always needed - just come along. 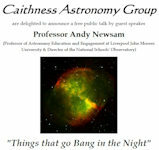 Caithness Astronomy Group are delighted to announce a free public talk by guest speaker Professor Andy Newsam. The Francis Street Club hosted the 3rd Annual Bfest Pairs Championships this past weekend, with players from both divisions battling it out for the last title of the Wick & District Pool League season. Seaforth Club's pairing of George Smith and Nathan Lightly won all of their group games on Saturday, playing some great pool to book their place in Sundays semi final. Greg Thompson and Gavin Simpson were also in form as they too qualified from group A. The big surprise of the group stages was the elimination of last years finalists Greg Simpson and Jordan Tait. On the 25th May local adventurers will climb the UK’s biggest mountain in a challenge to raise money for local charities. Phil, Annie and Scott would like to thank anyone who is generous enough to give any amount to their causes, every pound pledged will help spur them on with 24 hours of climbing ahead of them they will appreciate your help! See the links to their three local charities inside. Wick Academy 4 Deveronvale 1 - Could the Scorries fly to the top next season? Spring has been late this year or did we just miss it. Nevertheless the daffodils have been putting on a good display around the county and perhaps lasting longer due to the cold weather. The fire-fighters at Wick airport regularly practice putting out fires on aeroplanes and these photos show them at work. Wedesday nights 22nd May, 29th May, 5th June at 6.00pm. Free lessons from a PGA coach. New member get a 20% reduction in fees for the fisrt year if you decide to join the club. Does this little song from the 1920's ring a bell with any golfers or golf widows out there. Frank Crumit has golf down to a tee. Still it's good healthy activity so go for it. Joe is running from Landsend to John O'Groats in 50 days to raise money for a hospital in Nigeria. He has been going it alone with no back-up team and getting people to put him up along the way. Bill Fernie met up with him on Wednesday on his way home from inverness and invited him to stay a couple of nights when he arrived in Caithness. He walked through Wick today to Reiss and will continue so that he arrives on Friday 17th May at about 4.00pm. Bill will be there to get photos along with many other local people to wish him well. Natural Retreats is delighted to announce that its revolutionary new concept in the self-catering industry, The Inn at John O’Groats, is on course to open mid-August 2013 and is now taking bookings. The restoration of the iconic former John O’Groats Hotel is part of Natural Retreats’ multi-million pound regeneration of this stunningly picturesque natural wilderness in Caithness in the North of Scotland. Originally built in 1875, the iconic former hotel in John O’Groats has been carefully restored over the past two years and has had a new Norse style extension added which provides a dramatic splash of colour against the coastal landscape. Courtesy of Interior Design agency NoChintz, who are also responsible for the recent revamp at Natural Retreats’ flagship site in the Yorkshire Dales and the current lodges at John O’Groats, the interior will combine high quality old and new styling in keeping with the marriage of the historic former hotel and the eye catching new extension. Scottish schools will be providing more food education for pupils thanks to a £1 million fund launched by Scottish government.. Supporting the aims of Curriculum for Excellence, the Food for Thought Education Fund will help pupils learn about all aspects of food. The fund will encourage teachers to develop projects inspired by the extensive programme of major events planned for 2014 which includes the Year of Homecoming, the Commonwealth Games and Ryder Cup, creating a legacy for young people for years to come. Link to funding information at bottom of this article inside. Calling all you budding artists! Come along to the Seadrift Centre at Dunnet Bay and have fun creating another wildlife model to be added to our display as part of Biodiversity Week. Last year it was a basking shark - who knows what it could be in 2013? Booking essential. All children must be accompanied . 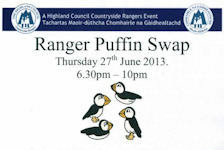 This item is just one of over 450 entries currently in the Caithness.org What's On section. We know there are many more entries to go in for this summer so get them in soon for maximum coverage and remember it's FREE. Enter your event using the Submission Form Hundreds of look ups every day. Our What's On events cascade over many pages on the web site and into our Caithness.org Facebook pages for even more coverage. Some indicative Pentland Firth energy sketches relating to Gills Bay/Gills Harbour, Caithness, KW1 4YB. The sketches have been drafted for Gills Harbour Ltd by Mark Fresson, a senior architect at Archial Ltd's North of Scotland office in Inverness and kindly donated to community-owned Gills company. Archial is a Toronto, Canada-based multi-national practice, with branches/associate-ships throughout the English-speaking world. The first sketch shows the location of the potentially hazardous tide-races in the Pentland Firth and the sites of sea-bed leases granted by the Crown Estate, for the purpose of generating electricity using recently-developed 'horizontal hydro' turbines. The places on the Firth's sea-surface where white-water breaks daily year-round on the appropriate 12.5 hour tide-cycle, are shown. The map shows the seabed leases in relation to the (often violent) tide-races, with the ports of Gills, Scrabster and Lyness marked , with Wick off the map c. 14 miles S of Duncansby Head. The second drawing (broadly) shows Pentland Ferries Ltd's planned 60 metre extension to the main Gills Harbour's main deep-water breakwater/berth. A series of new Gaelic classes have taken off in Caithness and attendances are much higher than expected. The new purpose made course for beginners and intermediate learners of the language in the county has been well supported in Wick since it started in the Pulteney Centre at the end of March with 19 registered attendees. The course is about to start at the North Highland College UHI in Thurso next Wednesday 22nd May at 7.15pm registration for anyone who is interested in learning the language in the north end of the county. Regular trips are available throughout the day, weather permitting. On Friday 17th May from 7 – 8.30pm as part of the Museums at Night celebrations Caithness Horizons is hosting the Inaugural Meeting of the Caithness Horizons Great Guild of Museologists. Museology is the study of Museums. Revised proposals have been announced this week for a £30 million wind farm development at Spittal Hill, just over 2km north east of the village of Spittal in Caithness. Comprising up to 8 turbines, with an installed capacity of up to 24 megawatts (MW), the proposals have been brought forward by Spittal Hill Windfarm Ltd, owned by Statkraft and a group of Highland based shareholders. These are considerably revised proposals from a previous larger scheme of 30-turbines which had a total installed capacity of 75MW. joembutherunningman Will Soon Be In Caithness - Can You Help? Message Received at Caithness.org About Joe Mbu who is walking and running for a special charity in Nigeria. "He has been running since Good Friday 29th March and as he has insisted on doing this without a support team, I am sad he could finish this alone - so... I am looking to recruit some running and rugby fans to run with him the last 4 miles from Freswick to John O'Groats!!! Please please please could you give Joe a warm Caithness welcome and run or cycle with him to end end"
A specialist engineering firm in Caithness has been placed in administration. Mowat Technical and Design Services (MTDS) employs 26 staff and offers a range of services including surveying and fabrication work. A woman is reported to have been assaulted between 2300 hours and 0000 hours on Saturday 11th May in a lane between Glamis Road and Henrietta Street in Wick. Police are keen to trace a man who is described as being of stocky build, wearing a white or light-coloured top and jeans who was seen in the area. Also Police are keen to speak to the driver of a small black car, who may have information that could assist with the inquiry. Anyone with information is urged to contact Police on 101 or Crimestoppers anonymously on 0800 555111. Annette, please get in touch ! This story highlights Rob Arthur who restarted Thurso cinema and his plans to try other places in the future. By bringing the latest digital technology into thuro he has transformed the cinema for audiences in Caithness. Adding live shows from London transmitted into the theatre is a huge added bonus in entertainment for the arts in the county. You have seen the photos now here is the movie in full colour. Noel Donald'son's fast run through the mains stories from the local paper. The funding for the clubhouse continues to go well and we have been successful in receiving every grant we have gone for. Our target for the club's own contribution of £96,160 is also getting there. The current shortfall is £10,623 so the final push is on to get the remainder. North Highland Connections announces a concert to be given in the West Church, Thurso, on Saturday, 1st June, by one of the world's leading clarinet virtuosi, Michael Collins. He will be accompanied by the pianist, Michael McHale. The concert will feature music by Weber; Brahms; Debussy: and Poulenc. For the local audience there will be special interest in an opportunity to hear the premiere of 'Four Nocturnes' by the composer, pianist and teacher, Robert Fields, who lives at Brough, near Dunnet. Robert is a familiar figure in Caithness musical circles, and his many friends and admirers will eagerly look forward to hearing his work performed by these international artistes. Are you a parent? Could you be a good role model for parents who are struggling with their young children? Do you have a couple of hours a week to spare? If so, we would love to hear from you! First time homebuyers within The Highland Council area are set to benefit from the introduction of a mortgage guarantee scheme, using the Local Authority Mortgage Scheme model already successfully launched by a number of English councils. The scheme aims to support up to 33 new homebuyers in the current year in getting on to the property ladder. Work got under way today (Friday 10TH mAY 2013) on the demolition of The Highland Council’s Caithness HQ at Market Place, Wick in readiness for an £8 million redevelopment of the town centre site as modern Council office accommodation. The Council has awarded a contract to Morgan Sindall to carry out the redevelopment of Market Place. Their sub-contractors, Munros have removed windows and fittings in recent weeks and began the demolition of the building in earnest today. The new building, together with a refurbished Stafford Place Buildings, will accommodate 140 Council staff currently based in a number of offices in Wick. The new building will be built on three floors to the front and two floors at the rear. When the new Council offices open, staff presently based at High Street (Social Work) and Rhind House (Education Culture and Sport) will move there. The project is due for completion early in 2015. Eighty staff, including those at Wick Service Point, have relocated to Government Buildings, Girnigoe Street while the new offices are built at Market Place. Council Offices Demolition from the start. The district heating scheme in Wick is being expanded. Ignis is to supply heat to the Wick Assembly Rooms, which is the largest public performance venue north of Inverness. When the installation works are completed later this month, the Assembly Rooms will be heated by renewable energy, and its existing oil fired boiler will be switched off. Craig Ibbetson, Director of Ignis Wick Ltd said “We are delighted that the Assembly Rooms are to be supplied by the district heating. This new customer means that we can commission a new supply pipe that runs from the end of Barrogill St in Pulteneytown to Sinclair Terrace. People will notice some works going on in Barrogill Street during this time. This new phase of expansion coincides with Ignis seeking to add more new customers to the network where our pipes are already nearby. A volunteer information day is being held by Caithness Voluntary Group on Thursday 9th May 2013 in Harpers Club, Back Bridge Street, Wick from 12.00 noon until 4.00pm. If you would like information about local groups where you can volunteer or offer services to your community then get along to see what is being done in the area. Another meeting to discuss the sculpture plans for Dunnet will be held on Tuesday 7th May at 7.30pm (Not 7.00pm as previously notified) in Dunnet Hall. 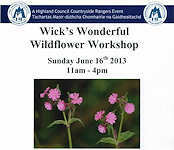 Stuart Black, Director of Planning from Highland Council, will attend the meeting to discuss the Community Arts Project. Not just a meeting about the sculptures as the last one was. The Sinclair Bay Hotel hosted the 2013 Captain's Cup tournament this past Saturday in what turned out to be an exciting tournament with some great pool played by all participants. The star of the opening rounds was Sinclair Bay's Milky Ronaldson, who knocked out two former Captains Cup winners on his way to booking a semi final spot. He defeated Crown1 player Colin Banks 3-1 before beating Martin Hill in the quarter finals by the same scoreline. Greg Thomson was impressive early in the day as he knocked out Perry Campbell and Gavin Simpson thanks to two 3-0 wins. He would meet Ronaldson in the semi final. The 3rd Annual Bfest Pairs Championships takes place on the weekend of the 18th/19th of May in the Francis Street Club. Each team may enter up to three pairs for this event. Please contact the league secretary on 07450 993155 to enter or for more information. Did you know the coverage for events listed also flow into the Caithness.org Facebook pages for even greater coverage of your event. You can add a poster or photo to brighten up your event advert. Sports groups can add their weekly meetings and committees why not add your AGM date to tell people about your group and remind everyone when its on. In fact any event that runs wther one off weekly or monthly can be added for years ahead if you knwo the dates. Its FREE and effective as so many people now check our What's On. Events are listed for each month and appear on our main front page and many other places across our web sites. Submit you event HERE - its FREE so get listing. The children of Thrumster Nursery took part in collecting shoe boxes for the Caithness shoe box appeal a few months ago. They managed to collect a grand total of sixteen boxes which will be distributed to the elderly in the county. They would like to say a big thank you to everyone who donated and helped to make this possible. The above photos are the winners from the 2012 competition to whet your appetite. Ryan Cook's Blackstairs "2" side won their first ever Wick & District Pool League title on Monday night after defeating Camps "2" 6-2 to win the 2013 Rockwater Shield final. An impressive team performance from the Blackstairs team ended Camps2's hopes of a fourth straight league & cup double. The second round of the Scottish Championship was held at Ingliston Fairground on the 27th April. The event consists of 42 stage miles over 8 stages with the surface being all tarmac; the weather on the Saturday was cold but sunny. The Hamilton Optimum Training Kadett driven by Bill and navigated by Sara Hamilton was seeded 33rd out 65 competitors. Earlier this year Bill and Sara had competed at round 1 Knockhill Racetrack unfortunately at this very wet event the Kadett hit a tyre wall damaging the rear of the car, they managed to finish the event but this was the first event since the repair so it was with a bit of trepidation that they tackled stages 1 and 2 but by the end of stage 2 they had moved up to 9th overall. 16th May The National Theatre Presents "This House"
Now you can see drama via the screen as it happens in theatres at Thurso cinema. "This House" A new play by James Graham It’s 1974 and the corridors of Westminster ring with the sound of infighting and backbiting as Britain’s political parties battle to change the future of the nation. Biting and energetic, This House has enjoyed two National Theatre sell-out runs. See it at Thurso using the latest technology. Now Top Drama Is On Your Doorstep. Iron Man 3 - Oblivion - Finding Nemo 3D - The Croods - Oz The Great and Powerful and more over this weekend. Another meeting to discuss the sculpture plans for Dunnet will be held on Tuesday 7th May at 7.00pm in Dunnet Hall. Stuart Black, Director of Planning from Highland Council, will attend the meeting to discuss the Community Arts Project. When it comes to deciding what books would be useful for researching your family history, the basic problem is that the original records are not in books which you can buy. All the original source materials are held in archives and libraries all over Scotland. So where do books come in? Tuesday 14th May, 7 pm – 9 pm, North Highland Cancer Information and Support Centre, 5a High Street, Thurso. Do you live with lymphoedema? Do you know someone who does? The NHS Highland Lymphoedema Project is proud to launch a new group in Caithness for people who are living with lymphoedema. This group is open to all people who have lymphoedema, regardless of its cause. Family and friends are also welcome. Ex-councillor Robert Coghill (Independent) was one of the first to congratulate Gillian Goghill (Independent) who won the bi-election for the Landward Caithness ward. Mrs Gillian Coghill from Halkirk will join the Independent Group on the Council. Mrs Coghill from Halkirk was one of four candidates, who contested the vacancy, created by the retiral of Robert Coghill in February. She joins Councillors David Bremner (Independent), Willie Mackay (Independent) and Alex MacLeod (Independent Nationalist) in representing Landward Caithness Ward. Dear Voters, I am standing for Landward Caithness because I believe in building vibrant rural communities with employment and opportunities for young folk and appropriate services for older people. I would work to ensure support for local community groups and SMEs and promote diversification in land-based enterprise. I think it is important to keep local schools open where possible so that children may be educated in their own communities and because a school may serve as a focus for events and activities.